Combine all ingredients for the salad together, using corn if desired. In a separate bowl, combine all ingredients for the dressing and pour over salad. 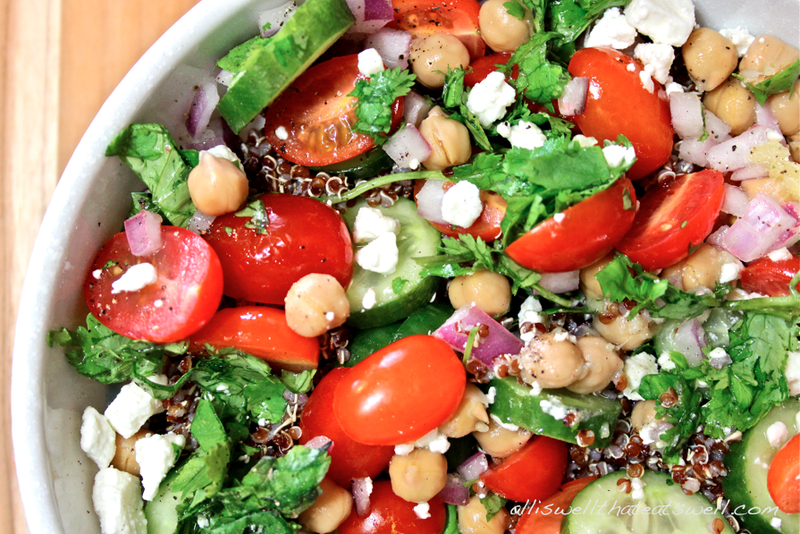 You can choose to finish with a sprinkle of crumbled feta for a fresh, tangy kick!